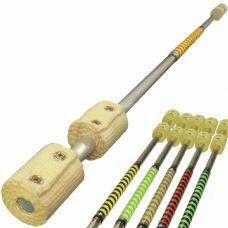 Our range of practice staffs, fire staffs (fire staves) and S staffs is always getting bigger! 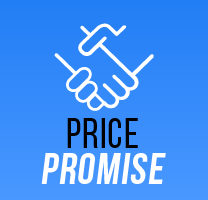 We don't hold back on the quality of our manufacturing and our wick has been proven to burn longer than any other on the market! We use aircraft grade aluminium for our staffs that means they'll never bend from normal use even with some of our larger heavier wicked options. 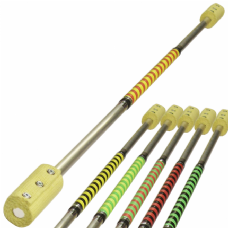 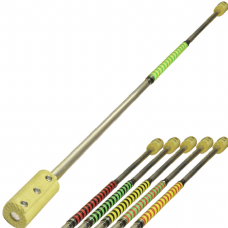 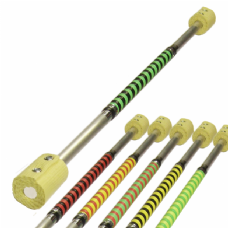 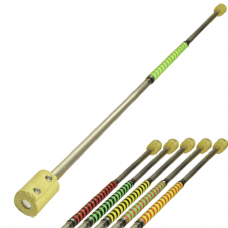 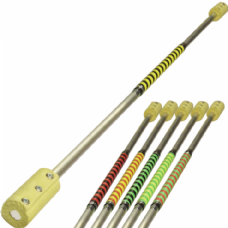 Our contact fire staffs use an even thicker aluminium allowing for a much better build-up of momentum and flow. You can find our huge range of fire staffs with a variety of different sizes and numbers of wicks. 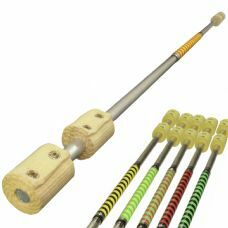 We stock 65mm and 100mm wicks with a combination of single, double and triple wick staffs, we also stock a big burner staff that uses 100mm wick but with double the amount used on a conventional fire staff! All of our fire staffs are available with a range of colourful grips to suit your individual style. 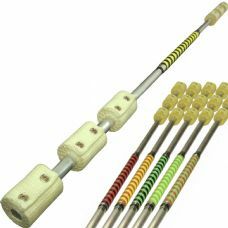 If you're not a fan of fire or want something to practice with when you're not setting light to things our range of practice staffs are ideal! With the same great weighting as our fire range they're ideal for getting to grips with tricks that are proving challenging.